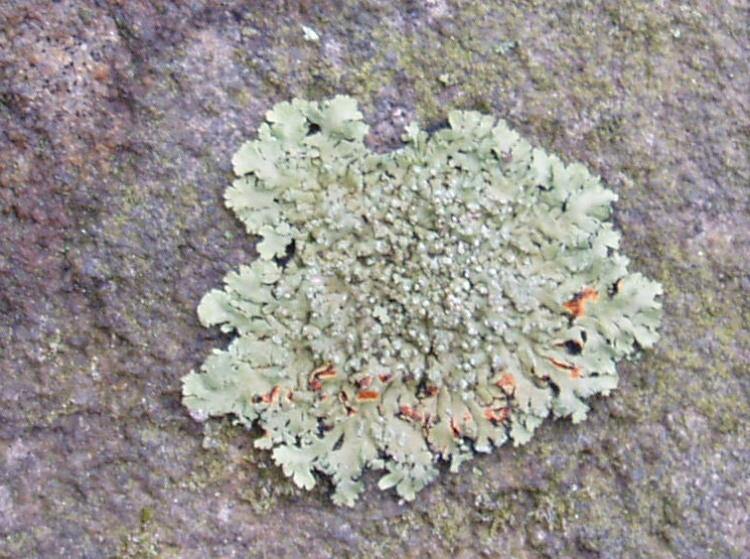 DIAGNOSTIC FEATURES: Black undersurface; sorediate; quite green when wet; bright orange-red medulla; compare with other “P. orbicularis complex” species which lack the orange-red medulla. 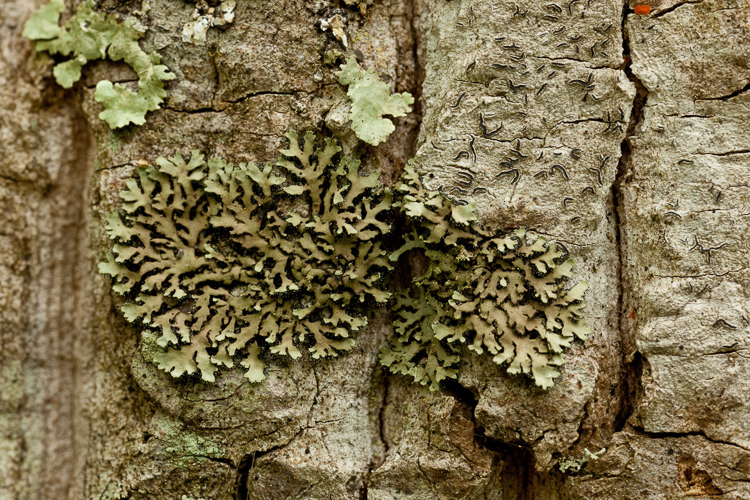 ECOLOGY: Very common on trees and rock in the eastern US; widespread and common in Ohio on mossy rocks and tree bases, probably the most commonly encountered Phaeophyscia. This species is fairly shade tolerant. 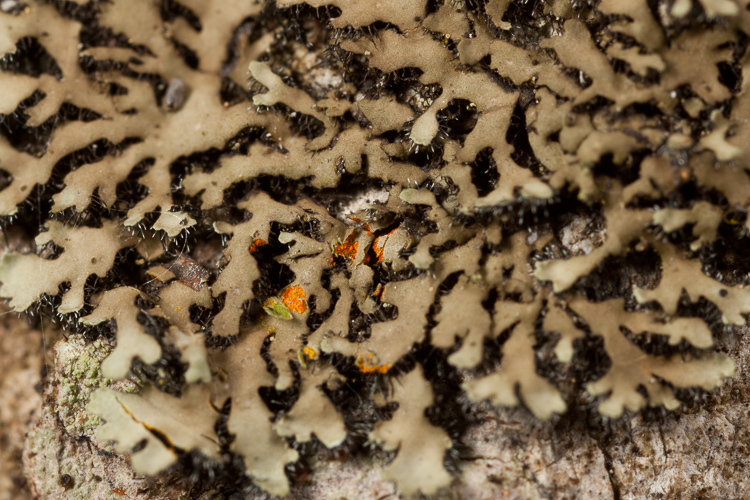 Frequently grazed by slugs that eat the upper cortex, exposing the orange medulla.